Before getting married, couples should understand the risk associated with finances during their lifetime. The majority of the financial problems that new couples encounter include being in debt, overspending, and not having a plan. Here are six tips that couples can use to help them manage their finances. Since money is a huge issue for many couples, the first step to do is to bring it on the table and acknowledge the importance of money in the relationship. 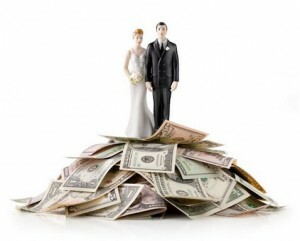 It is also helpful to begin a financial management plan by setting financial goals for one year, five years and 10 years throughout the marriage. Newly married couples should not purchase things that are beyond their economic capacity. Couples should set up a strict budget and try to follow it closely each month. When couples have to make a big purchase, they should set a limit on how much they can spend. Nonetheless, couples should also have some spending money to have an outlet. It is always a good idea for new couples to merge their finances and establish a joint checking account. Expenses that can be covered by a joint account include child care, houses, utilities, and cars. It is also important for couples to establish responsibilities on how much they are going to contribute to the joint checking account. It is always important for couples to be transparent and honest with each other on a regular basis about finances. A good idea for every couple is that they discuss their financial status every month. Investing is also another area for couples to decide on together. If a particular investment fails, both people have to share the repercussions. When tough economic times come, it is important for couples to have an emergency fund to get through. Couples should each contribute equally to their joint account each month. An emergency fund should also be used when health issues arise or when one partner loses their job. When two people get married, it is very important for both people to merge their lifestyles together. Couples cannot live under the same roof with two different lifestyles. By compromising and accepting each other’s lifestyles, couples can make the right budget to support each other’s hobby.